Welcome to Rent To Own Free Listings. We bring home buyers and sellers together using rent to own homes. Are you fed up with throwing away your hard earned money every month on rent? Do you want to put your family into a beautiful place they can call home? What’s stopping you? Credit? Past Issues? With rent to own homes, you don’t have to face the immediate scrutiny that lenders will put you through, even if you have what they think are “problems”. Low option consideration (less down payment). 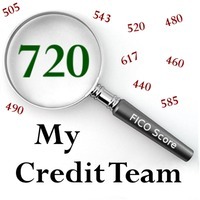 Many past credit problems can be corrected or deleted from your report while living in the home. Less up front qualifying restrictions. Purchase price is agreed upon and locked in ahead of time. You are able to live in the house, check out the area and house thoroughly before purchasing the house. Appreciation of property value works in your favor since the purchase price has been agreed upon prior to taking possession of the property. Any build of equity between move in date and purchase date is yours when you exercise your purchase option! Option fee is fully credited to toward the purchase of the home. Part of the rent payment every month may credited toward the purchase price, which can also be used to offset closing costs. You may be able to negotiate work for equity with the seller. Live in the home while your income becomes documentable (self-employed). We work directly with loan officers to assist you in obtaining permanent financing. Lease Option Buyers interested in our Property Listings are not charged a fee. Get your property seen by qualified tenants/buyers. Need help getting started, call us toll-free at 866-204-1022 or use our contact form. Copyright. Rent To Own FREE Listings. All Rights Reserved.